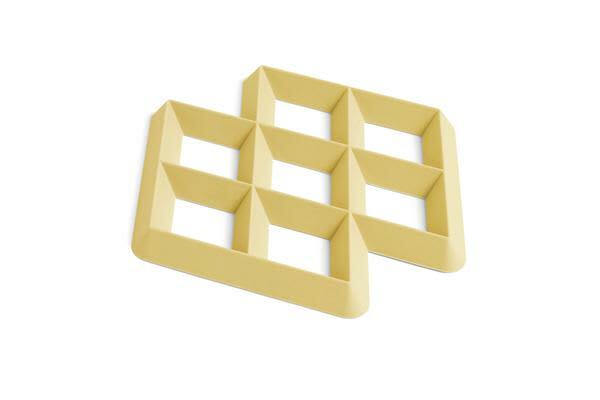 The Light Yellow Rhom Trivet from HAY. With its distinctive rhombus shape, the Rhom Trivet is a practical and modern accessory for your dining table. Made in heat-resistant silicone, it protects your surfaces from hot saucepans and pots.